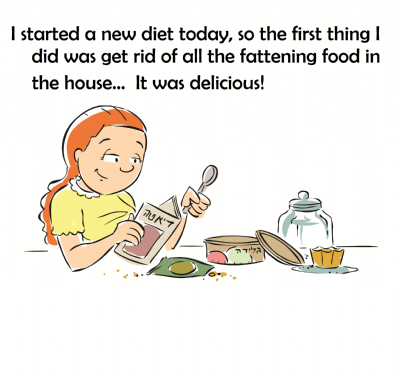 In this humorous and thought-provoking book, we examine the lighter side of dieting. This in-depth look at dozens of examples of diet humor exposes the real-life struggles of people who would like to ‘eat their cake’ but still leave the calories on the plate. 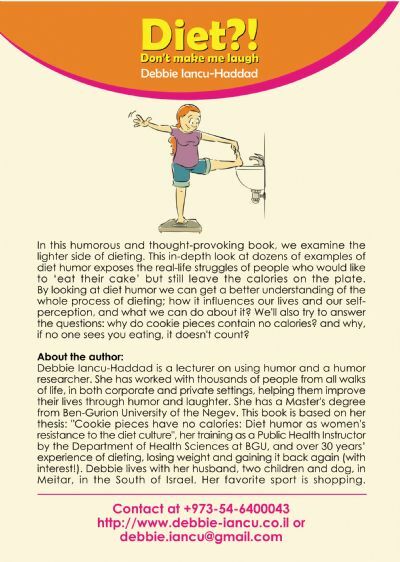 Debbie Iancu-Haddad is a lecturer on using humor and a humor researcher. She has worked with thousands of people from all walks of life, in both corporate and private settings, helping them improve their lives through humor and laughter. 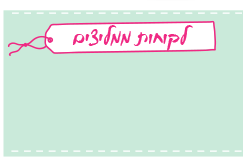 She has a Master's degree from Ben-Gurion University of the Negev. 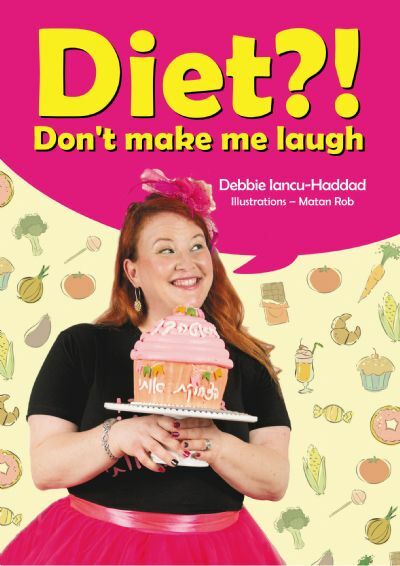 This book is based on her thesis: "Cookie pieces have no calories: Diet humor as women's resistance to the diet culture", her training as a Public Health Instructor by the Department of Health Sciences at BGU, and over 30 years’ experience of dieting, losing weight and gaining it back again (with interest!). Debbie lives with her husband, two children and dog, in Meitar, in the South of Israel. Her favorite sport is shopping.